New Omni 4-in-1 is the one tap that delivers not only hot and cold mains water but also cold and 100°C boiling filtered water. Omni delivers beautifully pure, fresh tasting water, so there’s no need for expensive bottled water. Omni is easy to fit in new or existing kitchens, safe to use and ultra reliable with a 3-year warranty. Best of all, it’s refreshingly affordable. Omni is the world’s first mechanical 4-in-1 kitchen mixer tap, offering filtered boiling and filtered cold water, as well as the usual mains hot and cold. 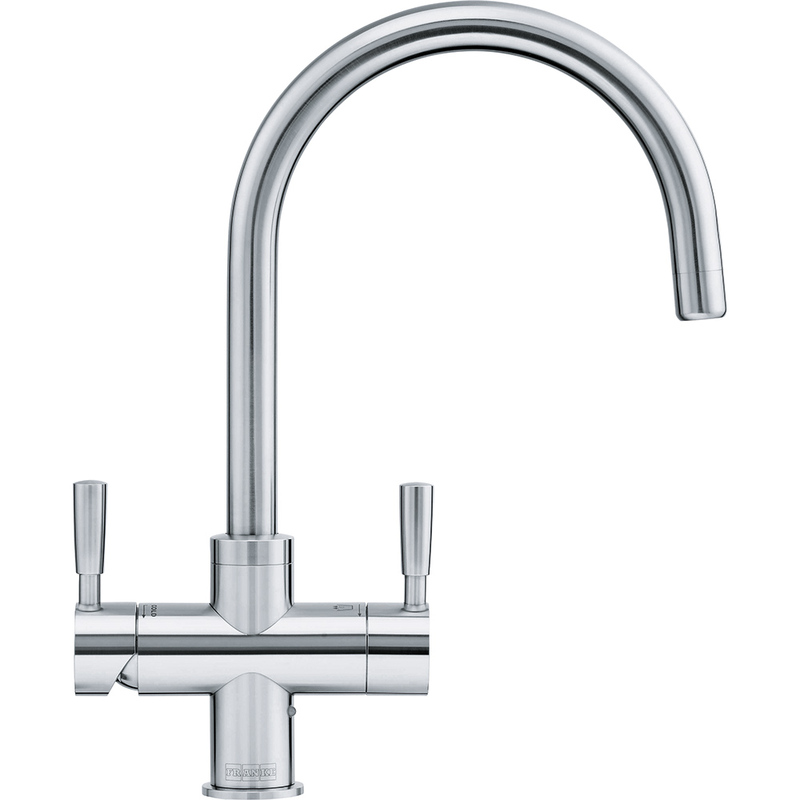 Omni is a complete system, including tap, boiler and under sink filter. The filter provides high quality drinking water and also protects the boiler from limescale build-up. Each filter lasts around 6 - 9 months and replacing the filter is as easy as changing a lightbulb. Most ‘boiling’ tap systems only produce less than 98°C so hot drinks don’t taste as good as they should. Omni delivers fully boiling 100°C water instantly for the perfect cuppa. Virtually no tools and minimal plumbing skills are required for installation. Omni is safer than a traditional kettle in so many ways; there are no cords which can be pulled to avoid any nasty accidents as on a kettle. The childproof push-to-activate lever helps to keep boiling water away from little hands. The lever is also spring loaded to switch off instantly if any splashes occur. Omni is easy to use, normal hot and cold water is dispensed through a conventional mixer lever. 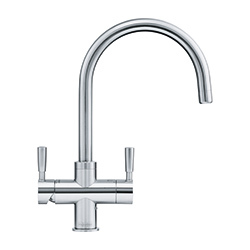 Pull the opposite lever forward for filtered cold water and push it back for boiling. 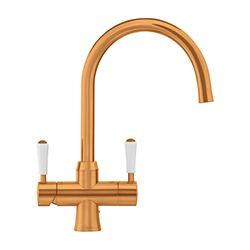 The boiling lever itself boasts triple safety features including a push-and-turn activation function, a spring-loaded shut off and a unique child safety clip, ensuring it is difficult to accidentally turn on. You can be sure that your filtered water remains fresh and safe to drink at all times, thanks to an innovative ‘tube within a tube’ design, which keeps the filtered supply entirely separate from normal mains water. The clever design also keeps the outside parts cool at all times. The filter itself is pretty smart too. Omni lets you know when it’s time to change the water filter by the LED built into the body of the tap, so you know your filter is always doing it’s job. It’s a versatile solution, suitable for left or right hand sinks. Omni is easy to fit to a standard 35mm sink hole, while its timeless elegance is equally at home in traditional or modern kitchens. 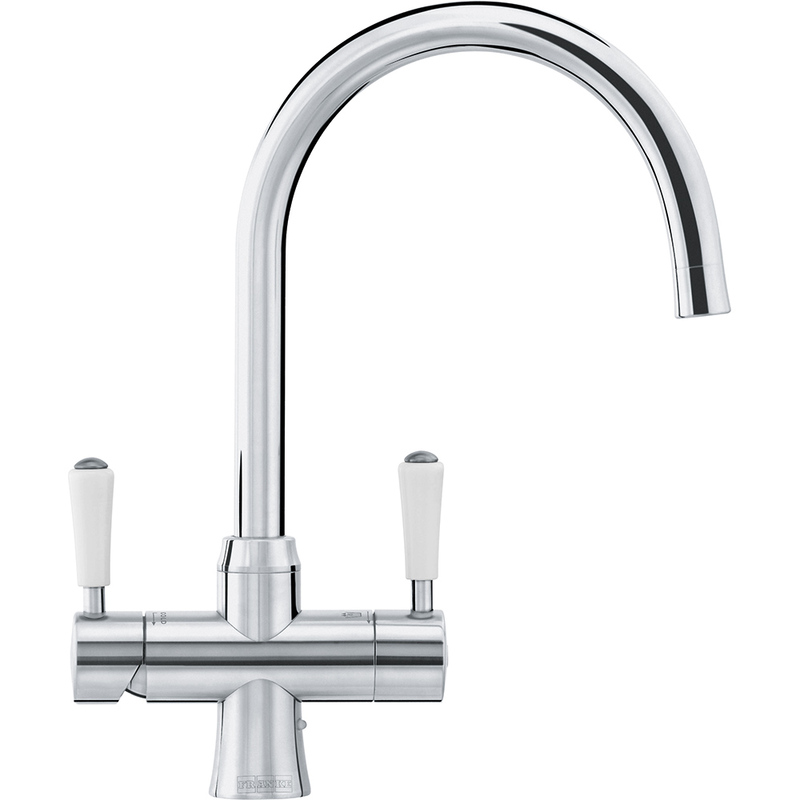 The tap is fully reversible allowing you to position the boiling water function away from the sink bowl. With Omni, there’s no need for expensive bottled water. The secret of Omni’s beautifully pure, fresh tasting water is the dual-purpose filter cartridge. It provides chlorine/chloramine, sediment and lead free water, and because of its position in the system, it helps to reduce limescale build-up in the boiler. The filter cartridge only needs to be changed on average every 6-9 months, depending on use. The tap’s integrated LED tells you when a replacement filter is required. Replacement filters are simple to order by phone or online from our UK base, and fitting your new filter is as easy as changing a lightbulb. Compact and convenient, the boiler can be easily fitted into a standard kitchen cabinet. The compact design hides a generous 4.2 litre capacity. That’s enough for 8 mugs of tea or 2 pans of water. Empty the boiler tank and you’re just 10 minutes away from the next tankful of boiling water. A 3-year manufacturer’s warranty covers the complete system for your total peace of mind. Our UK based advisors are always on hand to help. Filters tell you when they need replacing, and replacements are easy to order by phone or online.